1-At double stud locations where two pieces of plywood form a seam, stitch nail the two studs together with 16’s 3 inches apart staggered. If the plywood nailing is going to be 2 inches apart, nail them together 2 inches apart with 16’s. If 6 inches, nail them 6 inches apart, etc. Nail edge of each piece of plywood 3 ” apart staggered into each stud. For higher capacity shear walls edge nailing can be with 10d commons (0.148) tow inches on center. 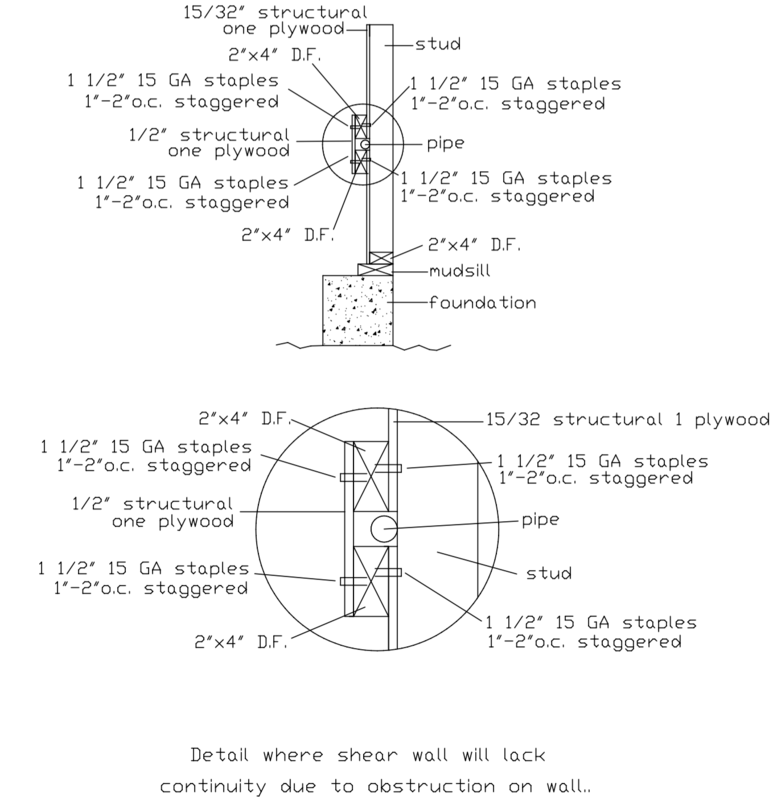 The impact of nailing on shear wall construction is discussed on this page about plywood nailing. 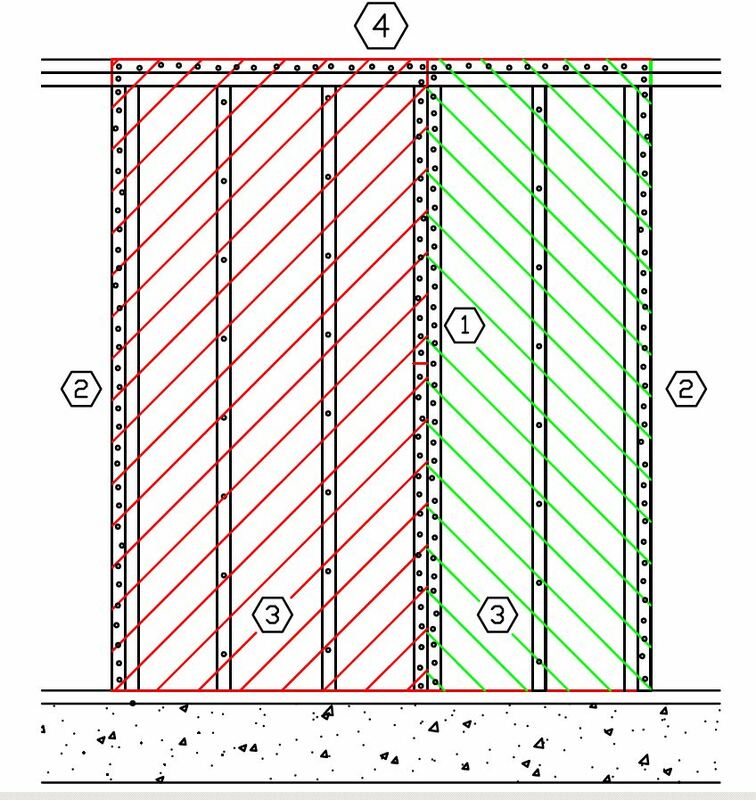 The only way to properly install a shear wall is to snap a chalk line down the center of each stud and place a nail 1/4 inch from each side of chalk line. 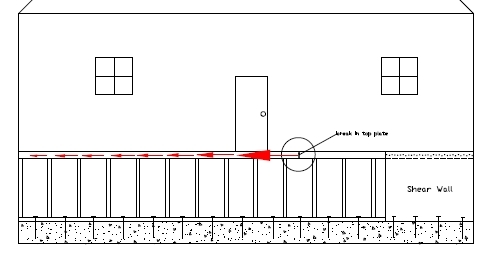 Remember, your shear wall may be the only thing between safety and catastrophe and it needs to be built perfectly. 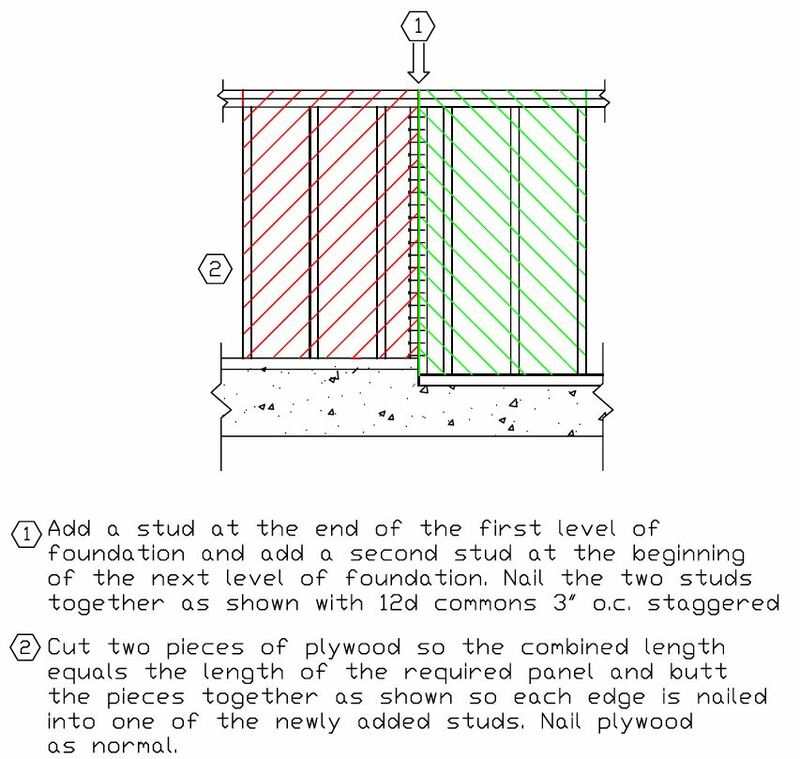 2-On the ends, if there is a double stud for a hold down, you can either stitch nail the two studs together 3″ o.c. and stagger nails 6″ o.c. on each stud (this makes a total of 3″ o.c. 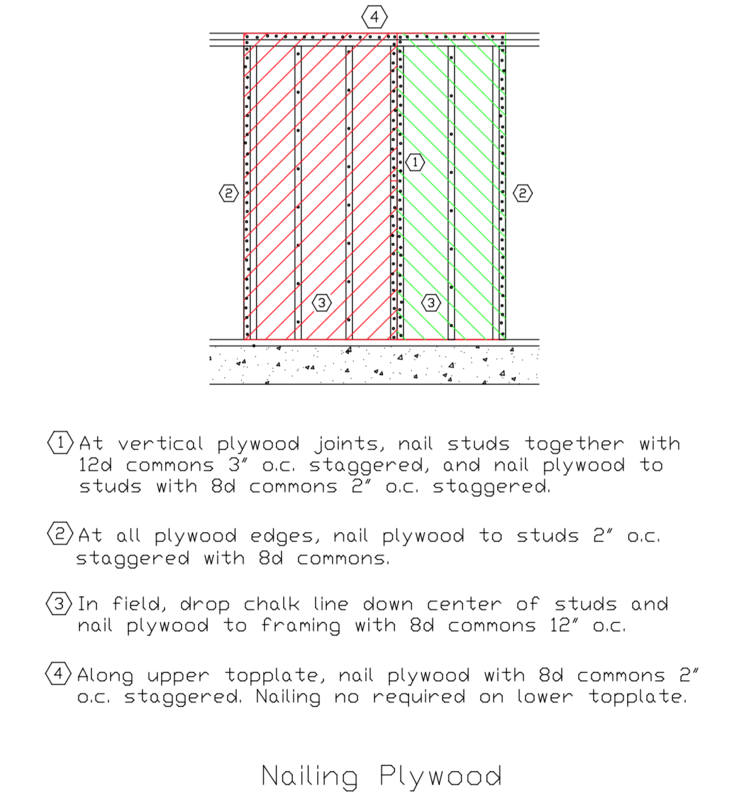 nailing on this edge) or nail into the end stud alone 3″ o.c. staggered. 3-In middle of plywood away from the edges put nails 12″ apart. Use a chalk line. No need to stagger. 4-Nail plywood to upper top plate 3 inches apart. “No need to nail into lower top plate. If there is an obstruction along upper top plate, nail upper and lower top plates together with 16’s 3” o.c. and nail into lower top plate only. O.c. mentioned below means “on center” meaning center of one nail to center of the next nail. In simpler terms o.c. means “apart”. 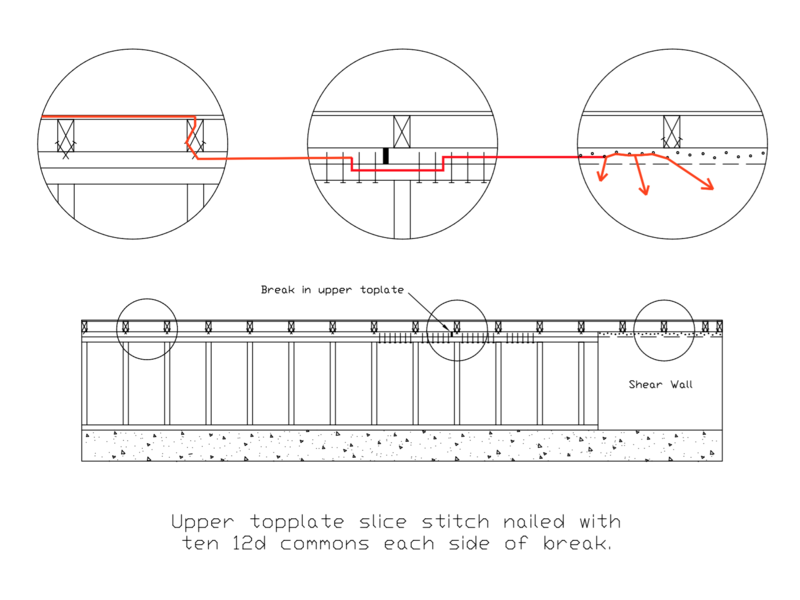 A common way of bridging breaks in a top plate is through the use of MST straps. 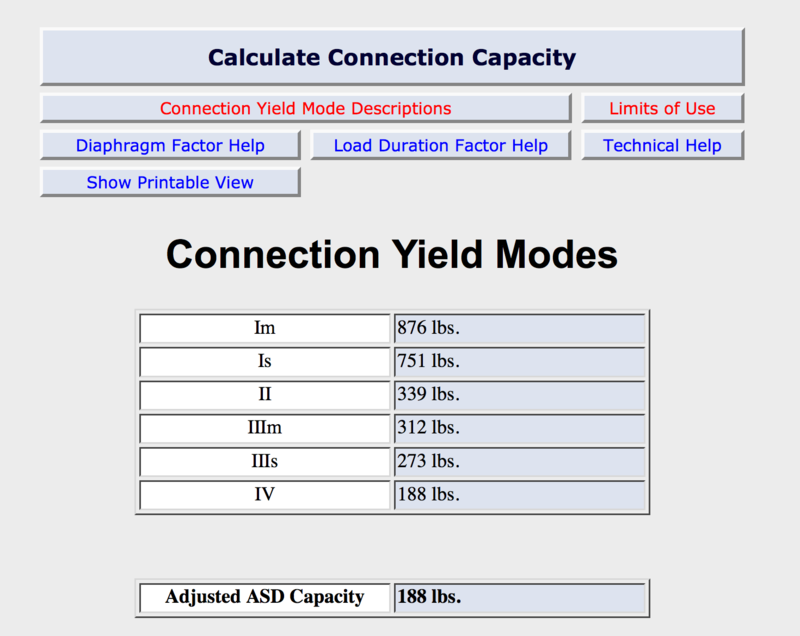 Below is table representing their capacity. 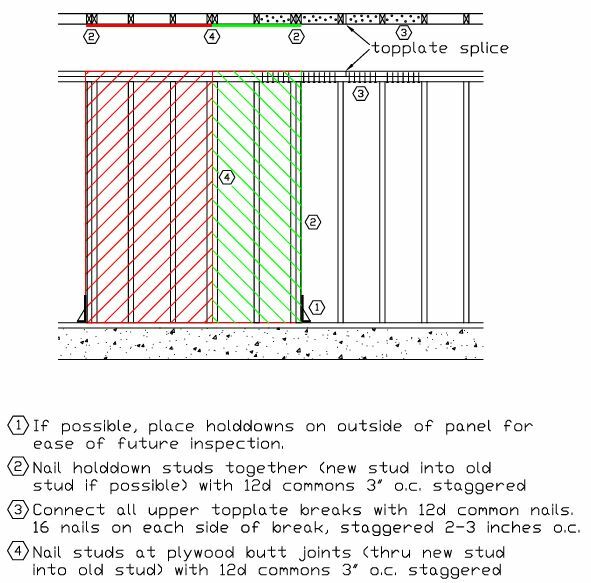 MST straps require 16d nails, though substitutions are allowed. 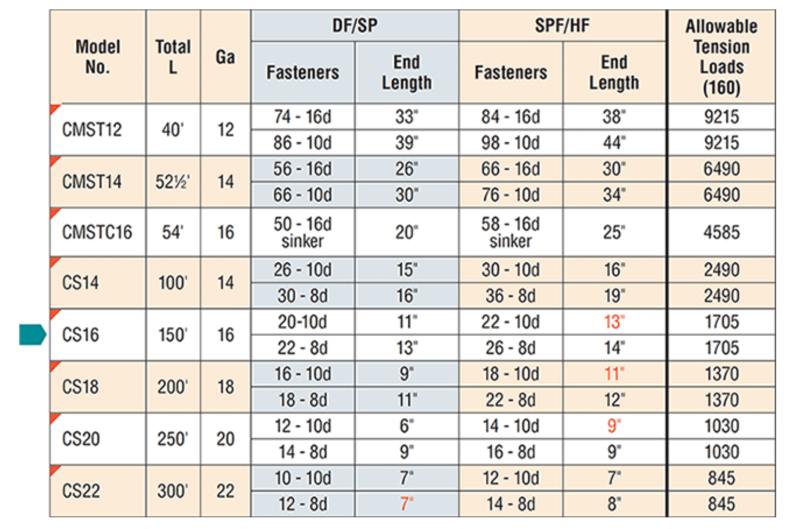 For example, as shown in the adjustment factor table below, if a 10d by 1-1/2 nails are used instead of a 16d commons, the strength of the strap must be reduced by 16%. This is accomplished by multiplying the value in the table above by 0.84. Thus, an MST48 with a tension value of 5,310 pounds is actually worth 4,460 if 10d ticos are used (0.84 x 5,310). High values can also be achieved by using straps made of 2 by 4s. 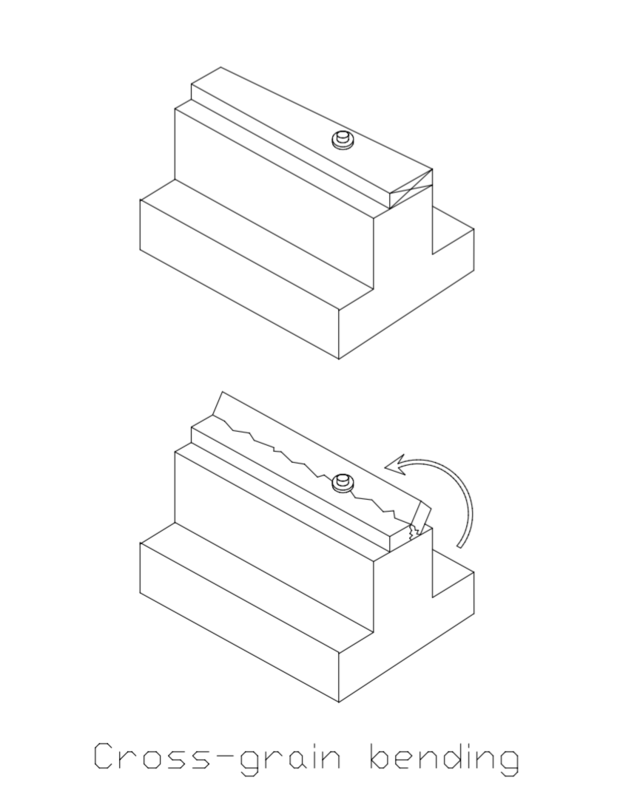 If the two top plates are nailed together to form one single member, and the top plate break (either single or doubled) is bridged with a 2 by 4, the value of an MST48 can be achieved by installing 24 12d nails through the 2 by 4 on each side of the break. 5310/188=28.2. This can be greatly increased with a wood 2 by 4 strap. If 20 nails are nailed through the 4 foot section of 2×4 on each side of the break, the tension connection will now be worth 3,760 pounds. If 2 1/2 long staples are used, the capacity of this connection is almost limitless.